Okay, thanks recommend you better explain what it is you are trying to ask. Clean your teeth for at least 2mins. Three good recommendations to get you going. Is there a site where you go to when you are looking for a specific image ? There are lots of sites you can go to. Google it. But there are several others and one of the alternatives may serve you better. You can use unsplash or pixabay. Watch out as some of the impages on pixabay are opened in stock.adobe or shutterstock, which require payment. Do not under any circumstance try to use the adobe or shutterstock pics on your website if you haven’t paid for them since they can find them via Reverse image search tools that includes TinEye and ImageRaider. I did once and it cost me £800! You can also reduce images very easily on line with tinypng, which is very effective. Unsplash is a bit limited - however it’s free. onepixel.com was great and just $1per image but it appears to have closed :(. Beyond those it’s pay time. I use iStockPhoto or take my own. Perfect ! Exactly what I was looking for. Always looking. 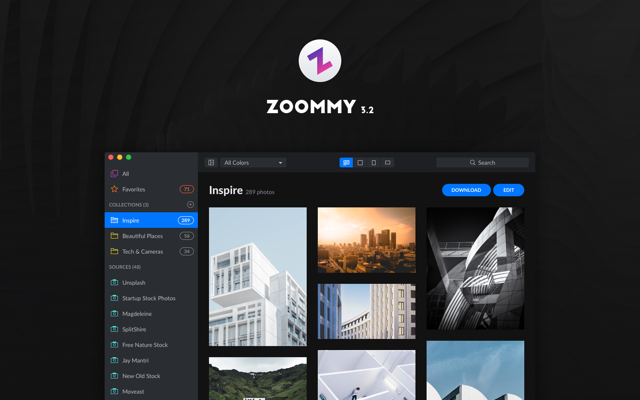 There’s also Zoommy - an app which searches royalty free image sites. Zoomy is a great $4.99 App. May I suggest a different approach/source? I realize that not everybody is a photographer, but photos taken by yourself will be unique, fresh and fee-free. And it will take you less time to take a photo yourself (and even correct it for colors, etc.) than sift through hundreds of thousands of photos available from dozens of sites, to find that one that may be close to what you were looking for.